A herby garden blend of fresh basil and crushed tomato leaves. 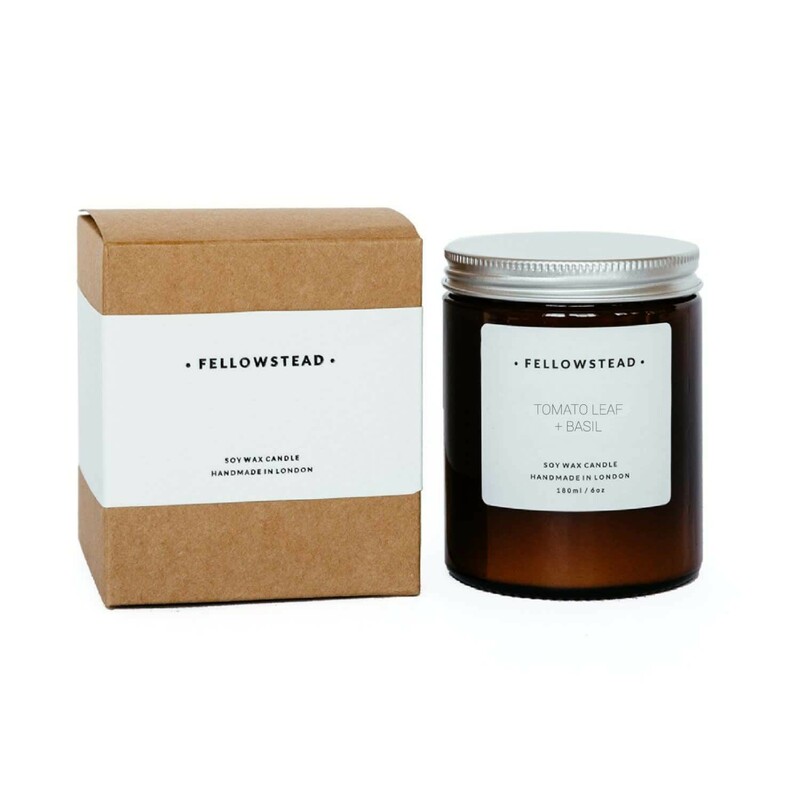 Handpoured in London by Fellowstead with 100% soy wax for an eco-friendly clean burn. No phthalates, dyes, or preservatives. Trim wick to 5mm before every use, and allow burn pool to reach full width of tin before extinguishing.